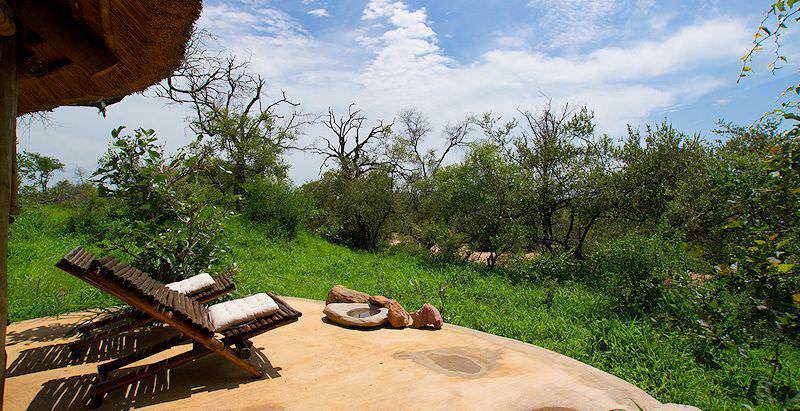 Umlani is a three star, eco-friendly safari lodge in the Timbavati Private Game Reserve. 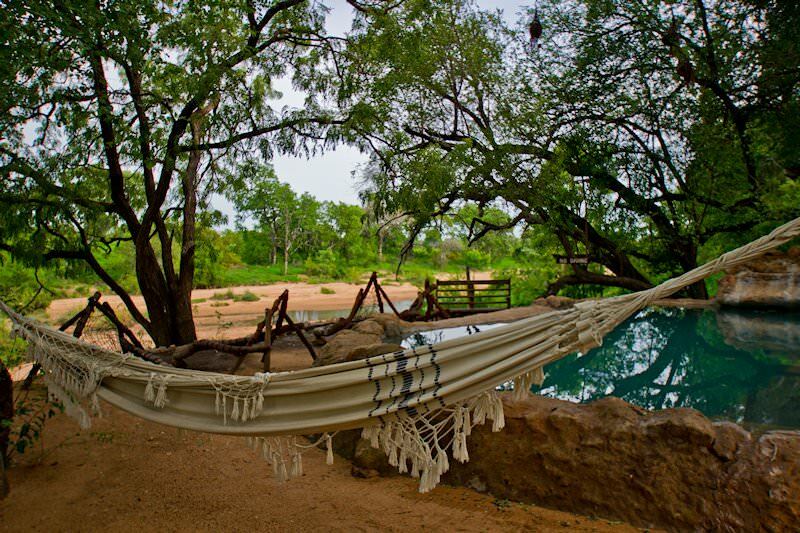 Umlani Bush Camp is a rustic camp located in the Timbavati Game Reserve. 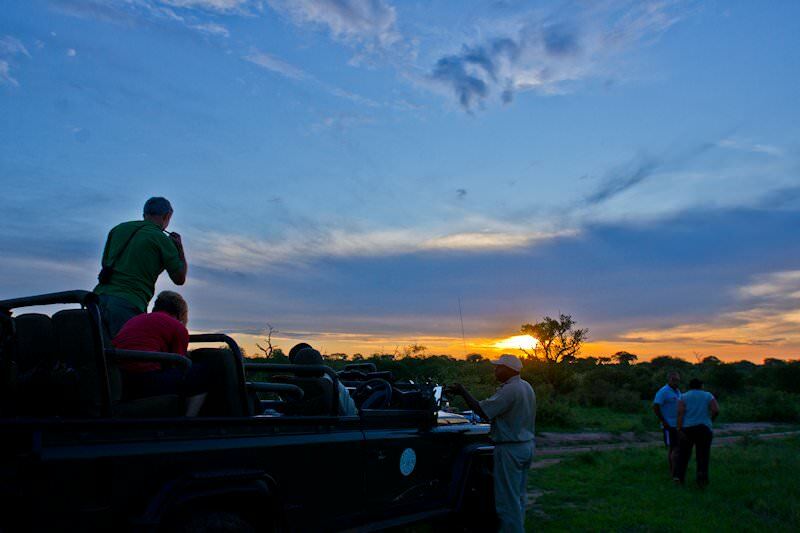 Timbavati is a Big Five reserve which forms part of the Greater Kruger National Park. 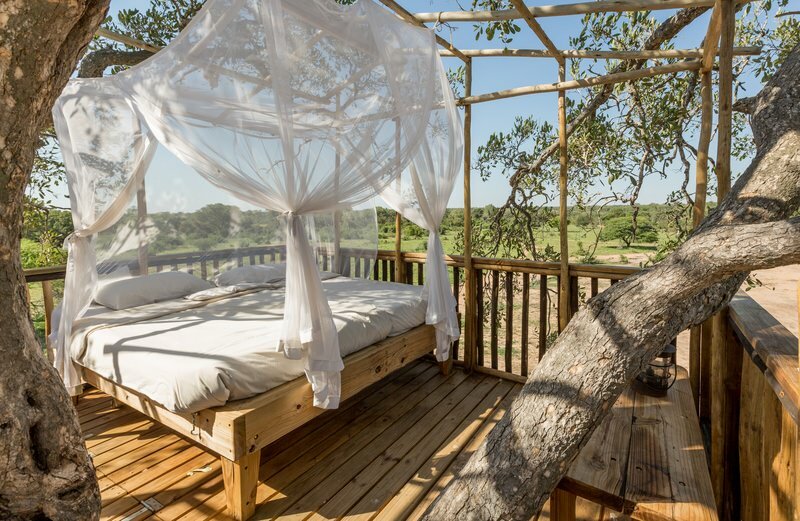 The safari experience provided at Umlani is quite unique. The camp does not have electricity. Lighting in the camp consists of lanterns and oil lamps that create a romantic setting and a feeling of being immersed in wildest Africa. 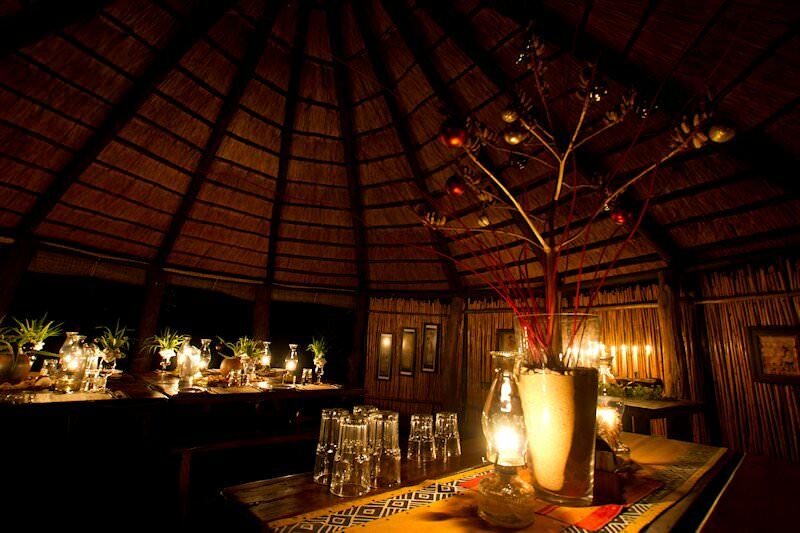 Umlani can accommodate a total of 16 guests in seven reed and thatched huts. Some huts can sleep up to four people, which make it ideal for a family safari in South Africa. 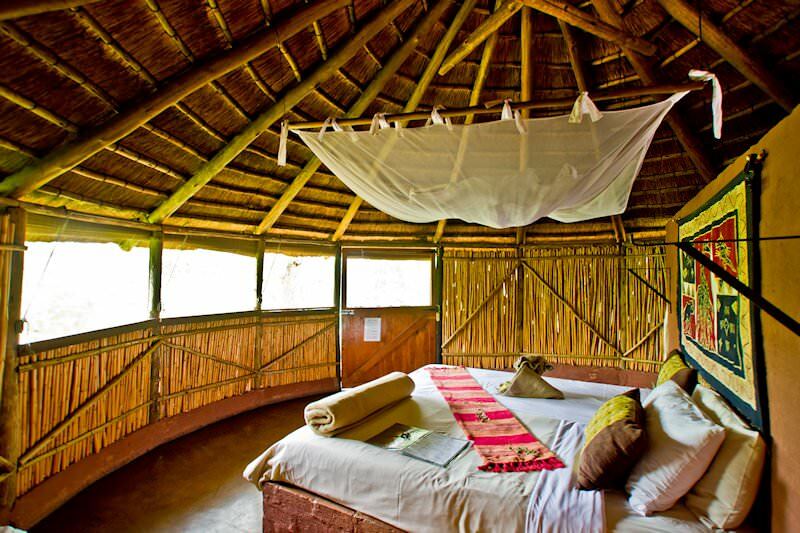 All huts are en suite and are provided with mosquito nets and crisp white linens. Each hut is equipped with both indoor and outdoor showers fueled by wood fires. 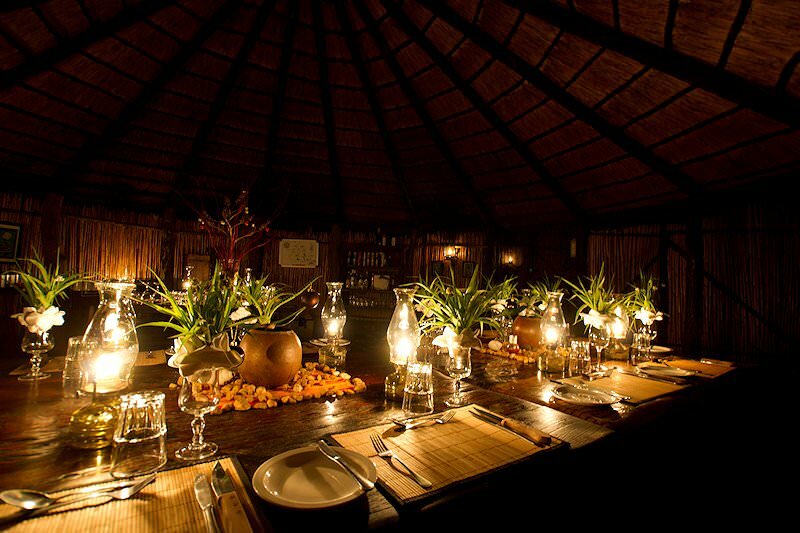 Delicious meals are served in the boma around a log fire. Guests can unwind in the swimming pool or laze around in the double hammocks surrounding the pool. 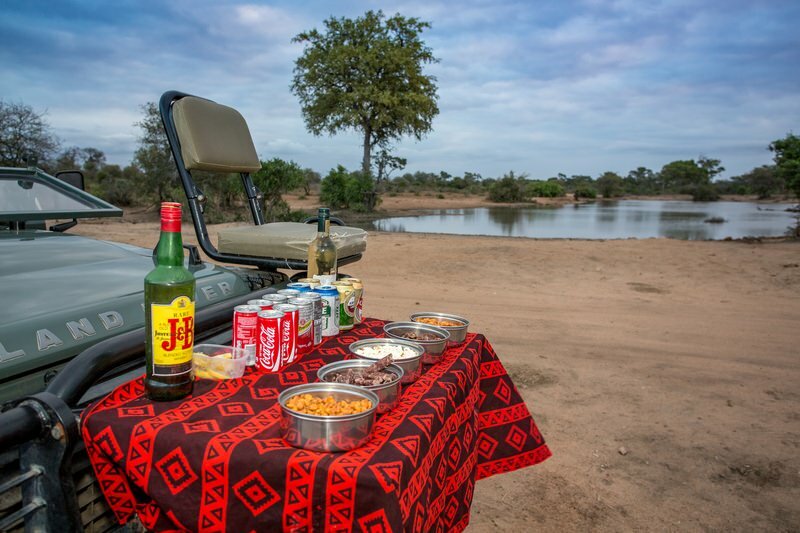 The camp also provides a bush bar where you can enjoy your favorite drink, or enjoy it on the deck overlooking the river bed. 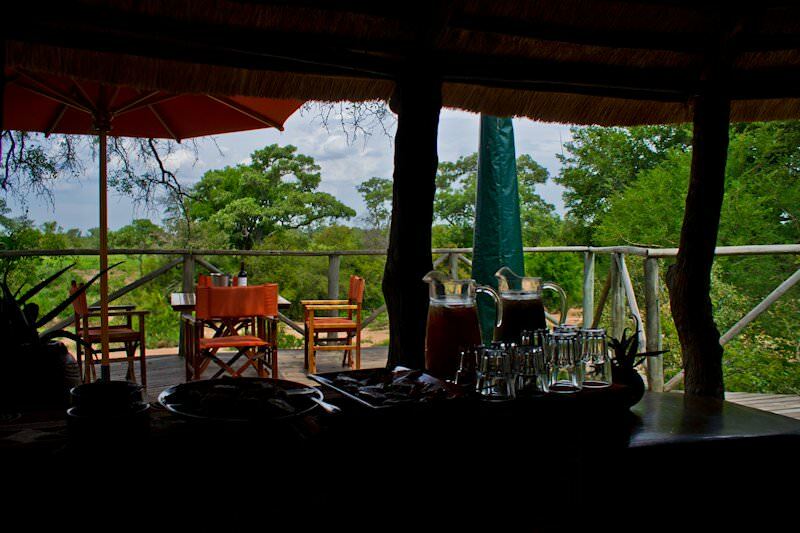 Guests are sure to spot numerous animals arriving at the waterhole to quench their thirst. Upon arrival at O R Tambo International Airport in Johannesburg, guests are chartered to Timbavati Private Game Reserve and on to the secluded utopia of Umlani Bush Camp for their safari. 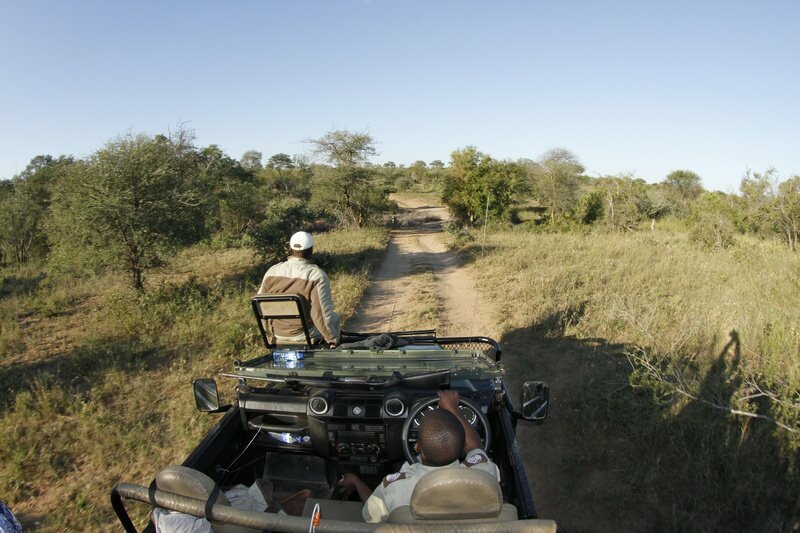 Two game drives a day pledge exceptional viewing in prime Big Five country. Alternatively, follow the resident Shangaan trackers on foot in pursuit of close encounters. Hammocks poolside serve lazy afternoons with cocktails from the bush bar and sprawling views of the riverbed below. From cozy log fire socializing to romantic candlelit meals in the dining room, Umlani offers delicacies to delight the palate. 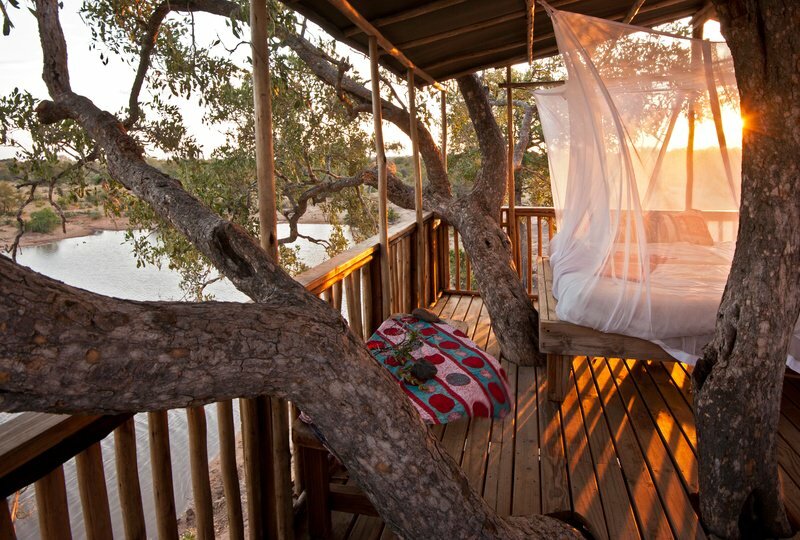 For deep isolation in the wilderness, enjoy the tranquility and privacy of the tree house outside the camp. Additional excursions range from early morning balloon safaris to elephant-back safaris and white river rafting. Umlani will not appeal to all safari enthusiasts. 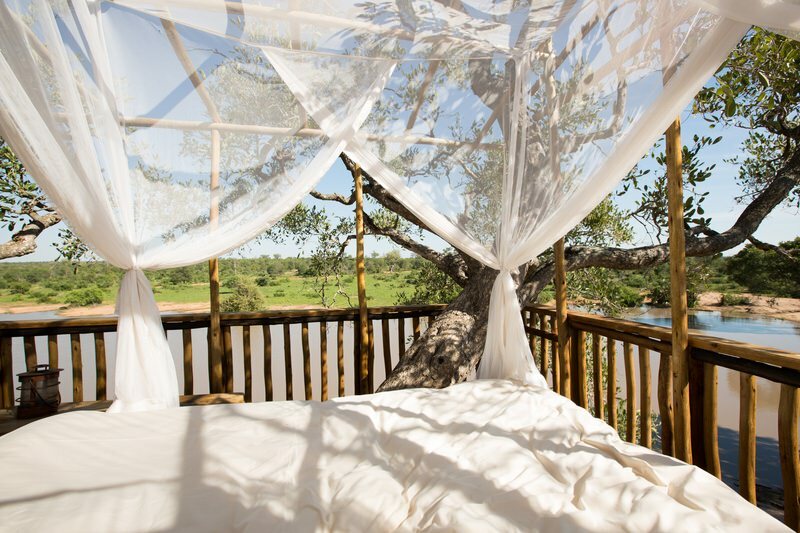 It is, however, ideally suited to those interested in a rustic but comfortable camp located in a private Big Five reserve. It is amazing how a sense of serenity and romance is created by the absence of electricity in the warm glow of lanterns, with only the sound of the wild echoing in the distance. I highly recommend this camp to the more adventurous who favor something truly unique. South Africa's myriad safari areas are as diverse as the country itself. Botswana is a paradise for nature enthusiasts, with ample wilderness and wildlife. Travel to Namibia for a unique, desert-oriented African safari experience. Zambia's national parks are remote and wild, from Kafue to South Luangwa. Zimbabwe's top safari destinations include Vic Falls, Hwange and Mana Pools. Mozambique boasts a 1000km coastline along the Indian Ocean. 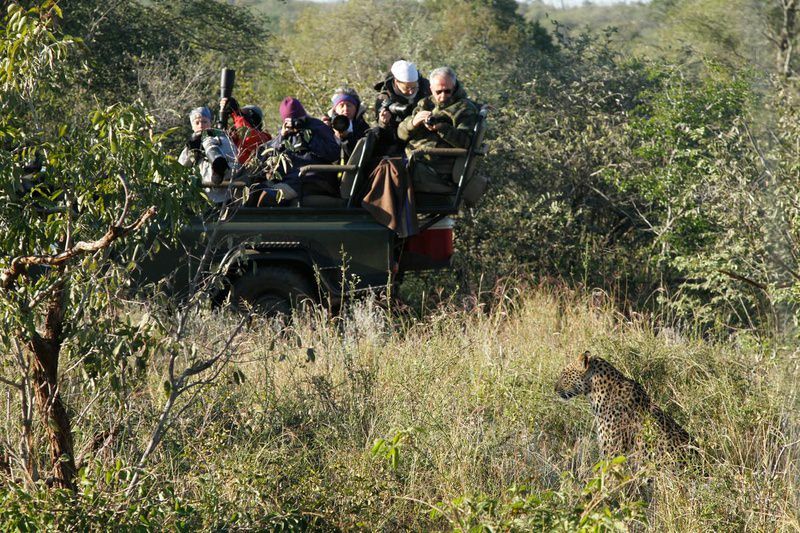 The Kruger Park is the most popular wilderness area that we offer safaris to, accommodating a wide range of budgets and interests. The luxury African safaris conducted by African Sky include every creature comfort from sumptuous lodgings to gourmet meals. The Big Five are the continent's most illustrious mammals and occur widely across the reserves and national parks of South Africa. The African lodges included in our safaris offer fine four and five star accommodation in truly wild settings.